One baking day we went for a walk – and got lost. Having been to a tapas fair hosted in the Plaza de Torres (bull ring), we ended up in a residential area to the east of the city. A woman took pity on us, led us through her apartment and out the back. A few a la izquierda’s and todo recto’s later we were on our way towards the Cementerio Inglés de Málaga – a quiet oasis and the oldest non-Roman Catholic Christian cemetery in mainland Spain. Think ‘secret garden’ – with bones. There’s a small church (St George’s) and a track to the walled, and oldest, part of the cemetery. There are shell-covered graves of children who died of fever and consumption (see short clip below). We were told by staff at the Visitors’ Centre there are over 1,000 graves. If you visit, be sure to donate a few euros. 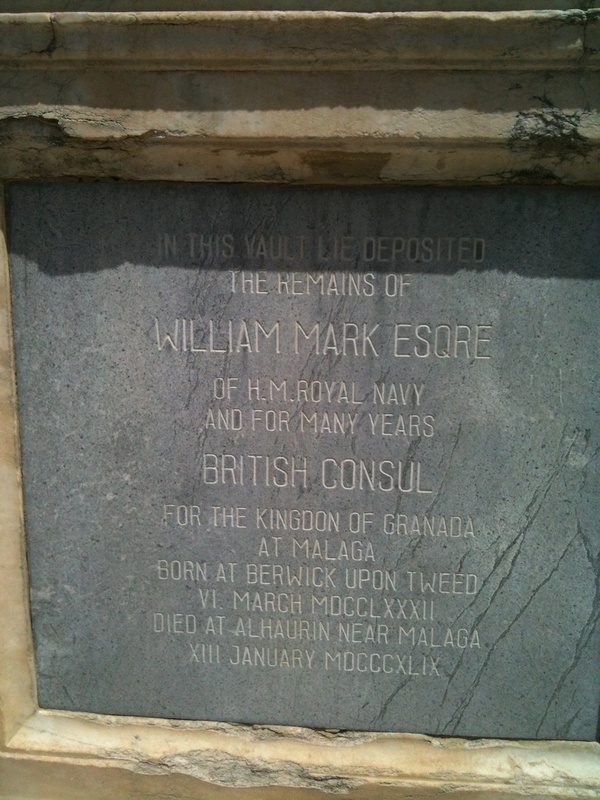 The cemetery was founded by William Mark who was British Consul from 1824 to 1836. At the time, Protestants didn’t get a decent burial – instead they were buried at night, upright in the sand to their necks. If the dogs didn’t get them, the bodies were prone to escaping, like rotting sand-eels tossed in the waves. William Mark personally took them from the sea. In 1830 he got permission to establish a cemetery for those previously denied a burial on consecrated – and Catholic – ground. 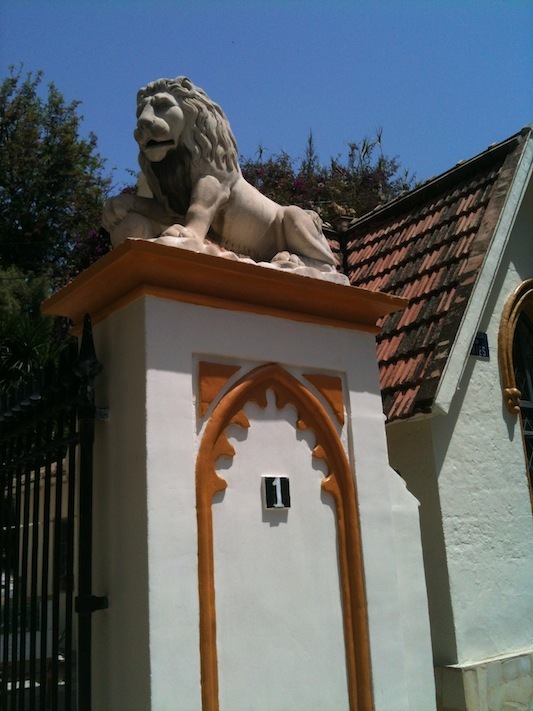 He ended up here, along with writer Gerald Brenan (grave number 683) – see our post here – and Gamel Woolsey, the American poet and novelist. There’s also a mausoleum containing the remains of 41 crew members of the German SMS Gneisenau which sank in a storm off Málaga in 1899. Touching epitaphs, elaborate vaults and headstones abound – it’s also a botanical garden. A peaceful way to spend an hour before heading back to the city centre and its charms. Oh, that is an amazing place! I especially like your video. Thanks for sending me the link.